China Southern has dropped the price of their September and October flights from Vancouver to the Philippines, Vietnam, Thailand, Cambodia, Singapore, and Bali down to between $488 and $554 CAD roundtrip. You can also fly into one city, and then home from a different city, and keep the price the about the same (instructions below). Sep 25 to Oct 9, 10, 11, 14, 15, 16, 17, 18 -- new! Sep 25 to Oct 10, 11 -- new! Sep 28 to Oct 14, 15, 16 -- new! Sep 25 to Oct 9, 10 -- new! Sep 25 to Oct 9, 10, 11 -- new! You can also fly into one city, and then home from a different city, and keep the price the about the same. For example, you could fly from Vancouver to Bangkok, Thailand - and then home from Hanoi, Vietnam, for $541 CAD roundtrip. 6 Responses to "Vancouver to the Philippines, Vietnam, Thailand, Cambodia, Singapore, or Bali -- $488 to $554 CAD roundtrip"
You are awesome Chris! Love this! No problem guys, glad it helps! Thank you, Chris, very helpful; appreciated! 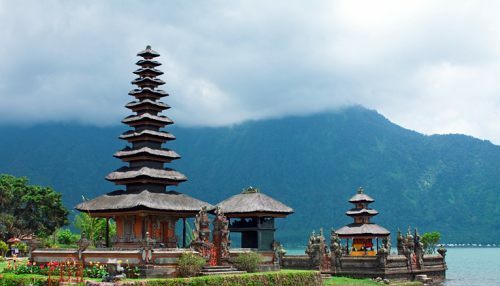 Looking for cheap flights to Bali for June-July 2019. Do you think there will be some?